Regardless of the specific screening service that is being requested, the applicant must provide two pieces of government-issued identification such as a driver's licence, a passport, or a birth certificate. We are accredited by the Canadian Criminal Real Time Identification Services (CCRTIS) branch of the Royal Canadian Mounted Police (RCMP) to provide fingerprint-based Criminal History Checks. 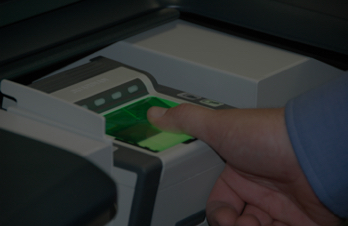 Reliability Screening Solutions Inc. offers fingerprinting services from our two convenient locations, or from the convenience of your own place of business. 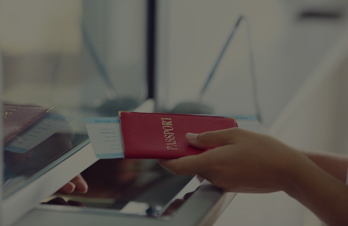 When you need Canadian document authentication, choose Reliability Screening Solutions Inc. We offer a one-stop shop for authentication services, along with personalized customer service. When you need a background check for employee hiring requirements, trust Reliability Screening Solutions Inc. Our company is proud to help employers gather pertinent security information to help identify potential employees. We have a vast database of useful resources that will help you determine exactly what you need based on the purpose of the forms and the countries involved. Canada offers two main forms of Criminal Background Checks. One is facilitated by Fingerprints, the other by Name and Date of Birth, commonly known as a Name Check. In today’s unpredictable environment, companies and employers need to be vigilant when dealing with new employees or contract partners. Knowing the people you work with is essential to protecting a company’s interests, data, assets, clients, and reputation. Reliability Screening Solutions provides a range of screening services designed to assist employers and other agencies who need to examine the background of individuals. Our clients include federal government agencies, volunteer organizations, corporations, lawyers and consultants who specialize in assisting Immigration and Pardons applicants. Reliability Screening Solutions provides a range of screening services designed to assist employers and other agencies who need to examine the background of individuals. We have created a tool that will make sure your order is exactly what you need to your situation. Please click below to use our interactive form to start your order right away! We have a vast database of useful resources that will help you determine exactly what you need based on the purpose of the forms and the countries involved. Click the link below to visit our resources section to help you get started. LiveScan is inkless electronic fingerprinting. The fingerprints are electronically transmitted to Canadian Criminal Real Time Identification Services (CCRTIS) for completion of a criminal record check. A trained technician will scan your fingerprints using a Guardian LScan. That’s all there is to it. The electronic fingerprinting takes five to ten minutes and your prints are immediately available for electronic transmission to the RCMP for background processing. Live Scan fingerprints are required to be submitted by federal government employees and contractors. Live Scan will avoid many of the problems associated with ink prints, such as smudging, smearing, and over or under inking. A major benefit of Live Scan is in processing speed since nearly all of those without criminal records are done within 72 hours. Rolled ink prints (traditionally submitted on a fingerprint card) can take up to 120 days. Under the National Police Services Real Time Identification Project (RTID), managed by the RCMP, the collection and processing of fingerprints was transformed to be an efficient, electronic process. 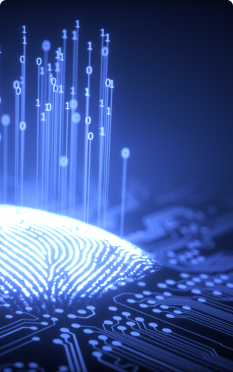 Managed by Canadian Criminal Real Time Identification Services (CCRTIS), the process allows certified agencies to submit fingerprints electronically. Reliability Screening Solutions and its parent, CleaNeed Information Systems Inc., was one of the first civil agencies to receive CCRTIS certification. Employers and agencies entrusted with sensitive and valuable assets know that it is their responsibility to protect their trusted employees and the interest of clients and stakeholders. Here you can check out a few of our featured resources. From everything from digital fingerprinting to document authentication, you can find it here.